This list is not comprehensive, and we recommend you check with your insurance provider to determine coverage. Please remember to bring your insurance card with you to every visit. This will avoid delays when you are checking in. If you have any questions about insurance or your coverage, please call our office manager at 978-287-3547. The below PDFs contain forms all new patients need to fill out and bring to your first appointment, including patient registration, patient health history, a privacy notice and a consent to treat/disclose health information. The consent form allows us to release information about your care to another entity, such as another physician or hospital. If you are a breast health patient, please fill out the below form, which contains additional breast health information. In my own mind, I had overblown the difficulty of having a colonoscopy, but it turned out to be a piece of cake. The sedatives we use these days are terrific. But when I woke up afterwards, Dr. Raj Devarajan, my gastroenterologist, gave me the bad news: he found a mass in my large intestine. He said this kind of mass turns out to be cancer in the vast majority of cases. I would need to have surgery. Pauline Avery wasn’t worried about her symptoms. 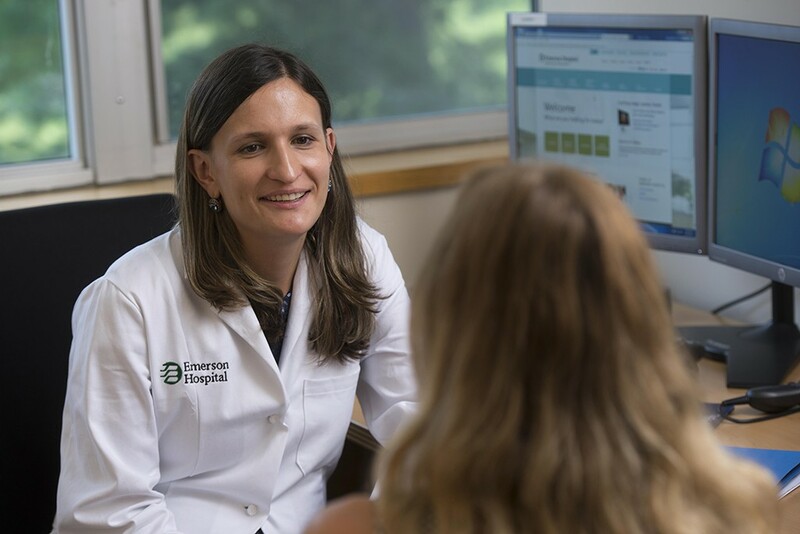 But then she described her mild stomach pain and bowel changes to Betty Pomerleau, MD, her primary care physician at Lincoln Physicians. “Dr. Pomerleau said ‘let’s check it out,’ so I was scheduled for a CT scan,” Ms. Avery recalls. The test revealed a mass in her colon, so she went for a colonoscopy, which provided a more detailed diagnosis, as well as devastating news. John Yates was not eager to have hernia surgery this past summer. But, Mr. Yates couldn’t ignore the symptoms which included pain in his lower left abdomen and a bulge that became more prominent throughout the day. Visit EmersonWellness.org for classes and wellness support.